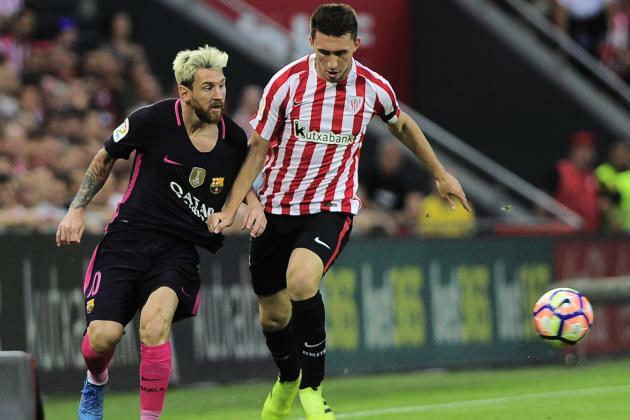 Barcelona were victorious in the Basque Country on Sunday, as they beat La Liga rivals Athletic Bilbao with Ivan Rakitic scoring in the first-half of the match from a header. 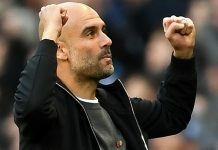 Barca boss Luis Enrique had made one change to his playing eleven, which saw keeper Marc-Andre ter Stegen replace Claudio Bravo, who joined Manchester City in the current transfer window. The rest of the playing 11 was similar to the side which beat Real Betis 6-2 on the opening weekend of the new season. Further, it was goalie Ter Stegen, who made the first vital contribution in the game’s first noticeable incident. A back pass from Samuel Umtiti with just about ten minutes played in the match, the German took his chance and wanted to be too clever. Losing possession easily to Benat, as he tried to set Barça in to attack mode but failed miserably. Benat took a shot straight at the German’s face and luckily the Blaugrana escaped without conceding a silly goal, when Bilbao were trying their best to dominate the proceedings. About nine minutes later, it was business as usual for the Spanish champions, who were pushing forward to break the deadlock. It was former Atletico Madrid man Arda Turan who was given far too much time on the left flank, as the Turk lifted the ball superbly into the box for team-mate Ivan Rakitic to power home the champs after just 21 minutes of play. Bilbao gave the Catalan outfit one or two scares during the first half, though were quite weak and rarely tested Ter Stegen to his fullest. It was Aritz Aduriz’s tame curled shot just before the break, which was the real test for Ernesto Valverde’s team, prior to the break. The Spanish giants should easily doubled their lead, as they went into the break with a second goal by Arda, though he lost his composure and eventually his shot wide, with Messi nearly picking out the 29-year-old attacker in this case. The Argentine international began the second-half where he left off, as he wriggled free once more before placing his shot wide of Bilbao’s goal this time. Striker Luis Suarez saw an audacious volleyed also sail off agonizingly wide, after some fantastic link-up play between the Croatian international Rakitic and Sergi Roberto. Los Leones had a really good double chance wasted as well around the 70 minute mark, which could have made a huge difference in the match. It was substitute Raul Garcia, who was given too much space to take a shot, but the former Atletico Madrid man fired wide before Inaki Williams took off clear to have his weak shot easily being saved by the Barca goalie. The chances continued to pile up, though the finishing was a waste, as the game drew to an end. Further, Messi’s shot blazed over after Arda set one up for his team on the counter attack. It just seemed like the encounter was going to be decided by a single goal and ultimately it proved to be the case, as there were no more goals in the game. The game eventually ended with a 1-0 win the Luis Enrique’s side and the champions would surely be happy with the narrow win. Next articleAre Lucas Perez And Shkodran Mustafi Enough For Arsenal To Win The Premier League This Season? Breaking: Denis Suarez Has Made His Decision, What Will Happen Now?